Torrance children's dentist, Dr. Krystle Rapisura is a native of Southern California whose interest in pediatric dentistry stemmed from a desire to help children and their families develop a strong dental foundation. Her extensive dental education, along with her previous tutoring experience, has given her the ability to openly communicate and educate both patients and their families. She received her BA in Integrative Biology from UC Berkeley and later her Doctor of Dental Medicine from Western University of Health Sciences. 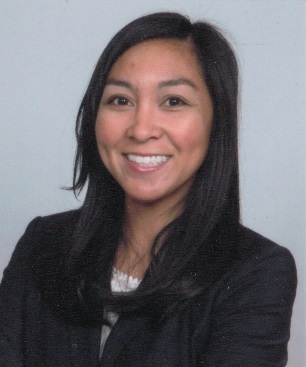 Dr. Rapisura received her Advanced Education in Pediatric Dentistry from New York University, but has since returned home to Southern California to continue her career in Pediatric Dentistry while being close to friends and family. Dr. Rapisura is a proud member of the American Association of Women Dentists, the American Dental Education Association, and American Academy of Pediatric Dentistry. Her focus is on prevention and education, but her skills enable her to provide quality care and comprehensive services as necessary. Her patience and calm demeanor have made her a favorite with children and parents alike. Every dentist and dental specialists in our Torrance group dental practice, recognizes their ability to enhance the lifestyles of our patients. As lifestyle enhancers, they take great pride in their ability, as dentists, to change the lives of our patients in a positive and meaningful way. Our Torrance dentists and dental specialists offer comprehensive dental services like, Cleaning and Prevention, Cosmetic Dentistry, Periodontal Care, Restorations, Orthodontics, Oral Surgery, Teeth Whitening, Dental Implants, and Pediatric Dental Care.